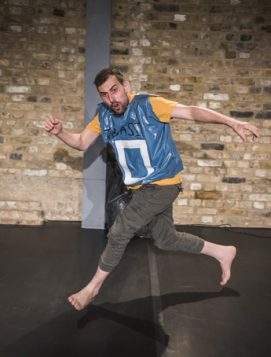 Palestinian actor Ahmed Tobasi is an infectiously enthusiastic performer, almost impossible to dislike. 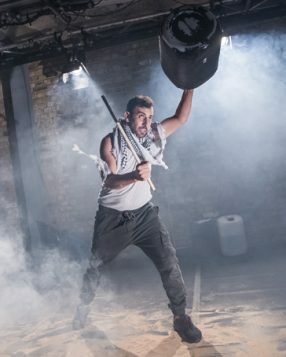 When he’s not tumbling about the stage or bouncing off the walls, he’s facing the audience with his arms thrown open wide, grinning. 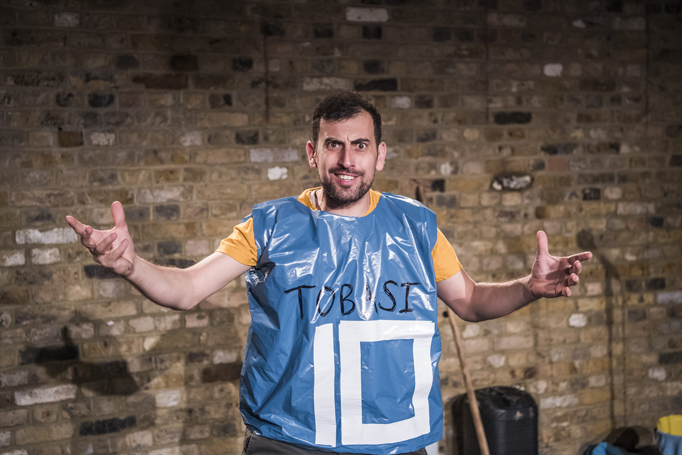 And Here I Am is based on Tobasi’s own experiences – though by the time the 80 minutes is up, it feels like he’s lived several lifetimes. First, Tobasi is a child playing soccer in a Palestinian refugee camp, then he’s a teenager testing out an AK-47. When we next see him he’s clinging to sanity in an Israeli prison, then he’s dashing from border to border on a desperate prayer. 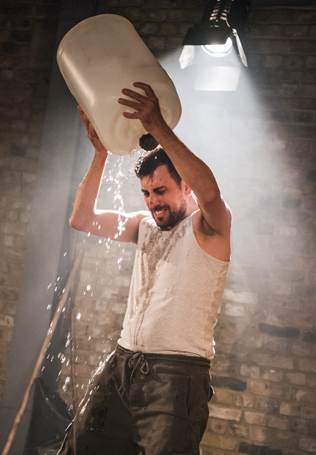 It’s his story to tell, and he’s surefooted and generous about it, revelling in his triumphs and refreshingly frank about his failures. 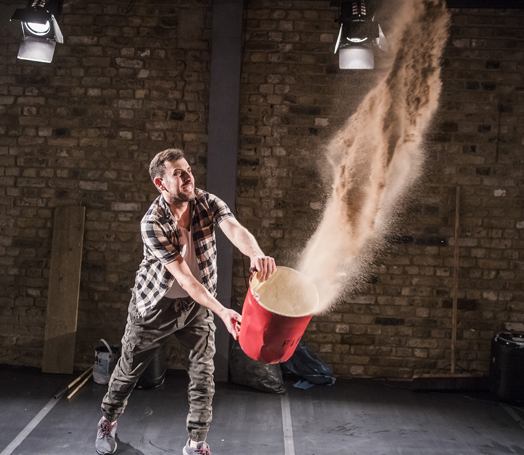 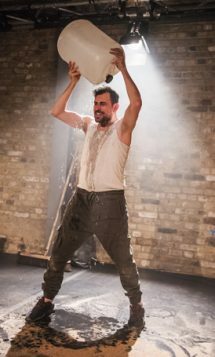 The Arcola’s studio space, strewn with drums of water, duffle bags and plenty of sand, is made to fit each location, aneffect supported by lovely touches of light and sound from Andy Purves and Max Pappenheim. 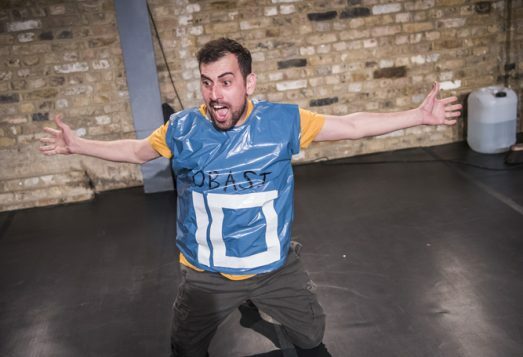 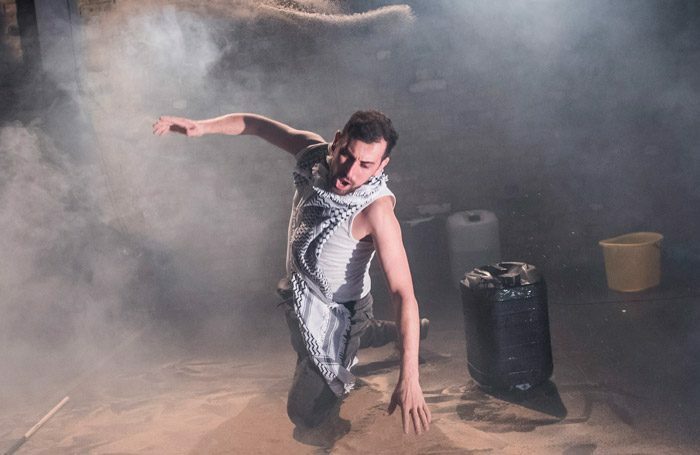 This one-man tragi-comedy at times feels like the Palestinian-Israeli Conflict 101 – but it’s a deeply humanising introduction to the lives that have been shattered by the ongoing struggle. 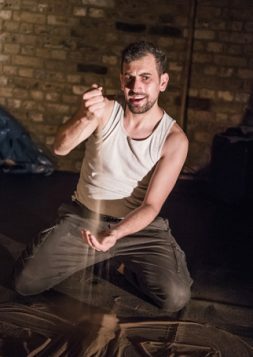 There are many knots that the Zoe Lafferty’s production doesn’t untangle – the snappy text, workshopped by Hassan Abdulrazzak with Tobasi, lingers on a few of these political provocations, but doesn’t allow them to get in the way of Tobasi’s energy and charm, his joy in despair. 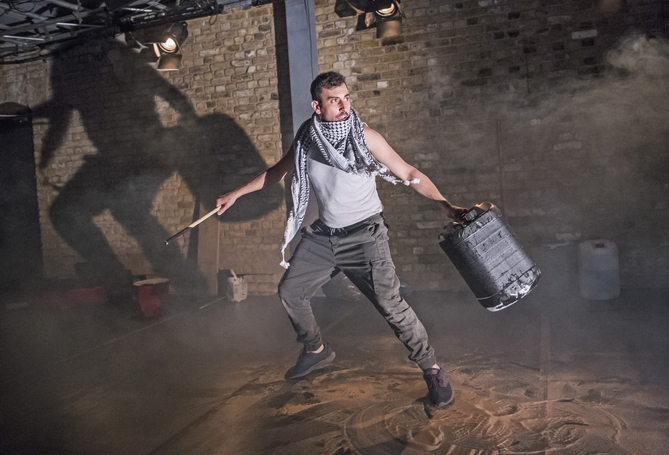 And Here I Am is a story about disenfranchisement and the horrors of war, but it also looks at what it means to break out of the path towards radicalisation and take up the mantle of art instead.